Wow…a whole month to honor and celebrate those who have and those who are currently fighting for our freedom! 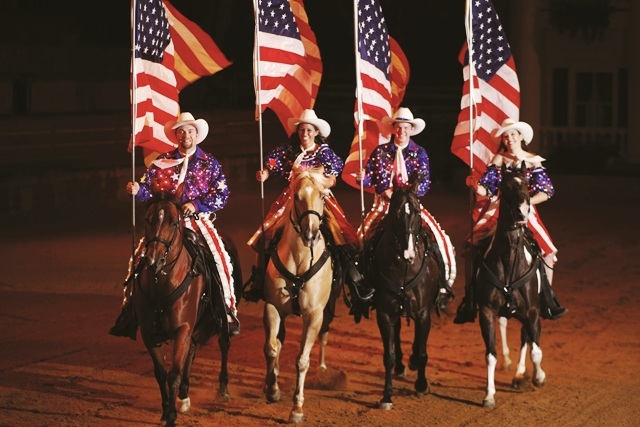 From August 1 – 31, 2011, the great town of Pigeon Forge will be celebrating our freedom fighters. Celebrate Freedom!™ is a discount program that is offered at many local businesses and attractions for veterans, current military personnel, police officers, firefighters, paramedics, and emergency medical technicians. We have always been amazed during our visits that most of the shows make a special effort to recognize our military at some point during their performance. I love that the little divas are exposed to this so that they are aware that every day people are working to make the land we live in a safe place. It is an honor to recognize them! War veterans of the county are honored with a memorial that is permanently housed at Patriot Park. This big open park has a walking trail around it that is lined with flags of the 50 states along with another “educational” piece- a replica of the Liberty Bell. This bell is lit up after dark and is a great reminder of our country’s history. If you are a freedom fighter, make sure to stop by the Pigeon Forge Welcome Center this month and pick up a copy of the Celebrate Freedom! brochure that lists all the area businesses and attractions that are offering discounts as well as any restrictions that apply. There is a little bit of everything from lodging to eateries to make your stay in Pigeon Forge a pleasant one. Just another reason to love Pigeon Forge!